New Mexico State University is committed to providing reasonable accommodations to disabled persons in accordance with State and Federal laws. New Mexico State University is an equal opportunity/affirmative action employer and educator. 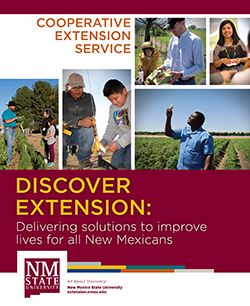 NMSU, the U.S. Department of Agriculture and Los Alamos County cooperating.